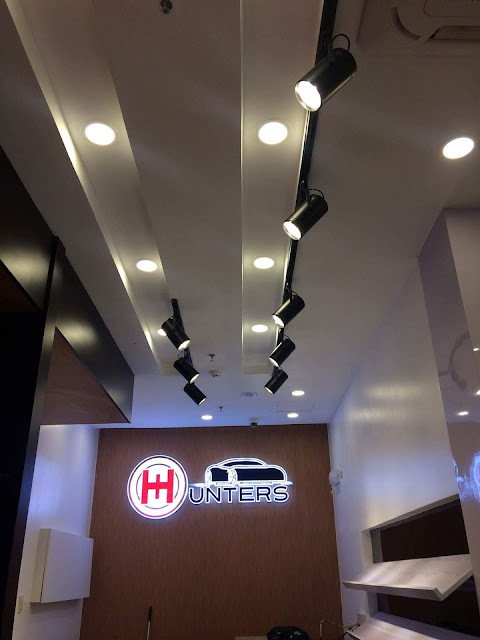 Hunters International: Your Modern Auto Accessories Shop for Car-chitects! We were so blessed to have repeat clients. 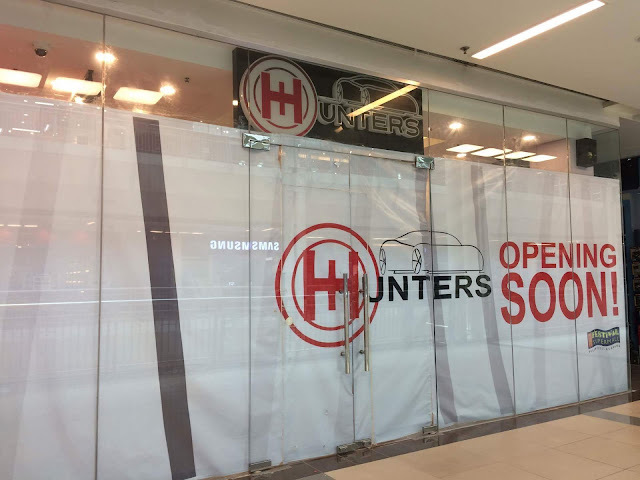 Remember our previous blog post about Hunter’s International? 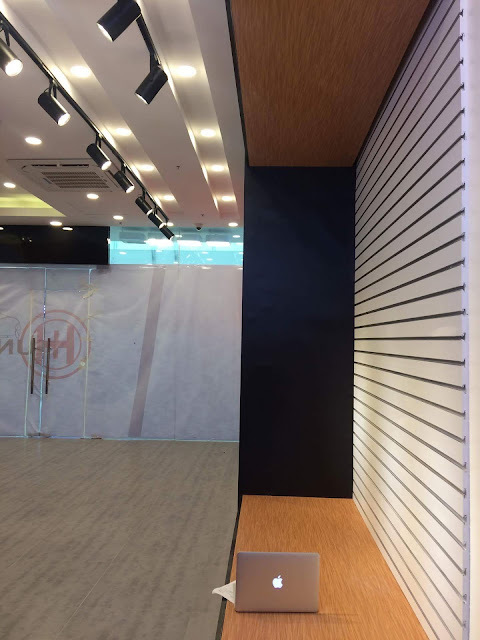 The company expanded and got their 2nd branch at Festival Mall in Paranaque City. We are overwhelmed that they called us to design and renovate the space they rented out. The design now is much modern than the previous one—Earth hues were executed. 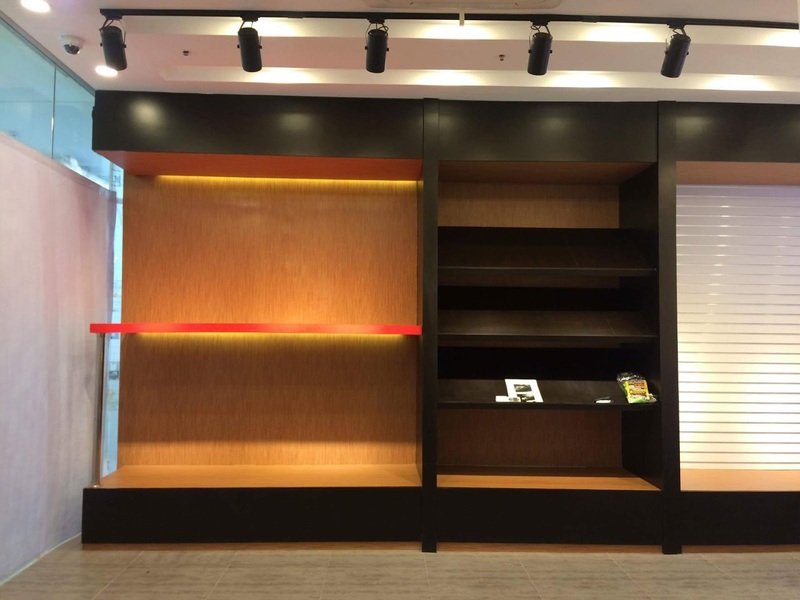 We wanted to give their client's a contemporary feel upon entering the store. We’ve been checking out their competitor’s space and they’re the only one who exerted budget and effort in Interior design—that is how they value their clients by giving the deserve comfort while shopping. Upon entrance, this is what you will see. We designed a layer of shelves for their merchandise and swing cabinet at the bottom for their file storage. We love how the cove lightning helps in highlighting a certain space. Several pin lights in warm hues were installed to make the overall aesthetic warm and cozy. We chose contrasting shades—wenge and natural— so it will look balanced and manly. Since most of the future customers here are men, we considered using darker shades and an accent for a certain area. I believe in that space, they will put their car seat samples. Maybe they are also accepting custom-made design? By the way, their pieces originated from Korea. They are distributing high-quality car accessories for every car-chitect. 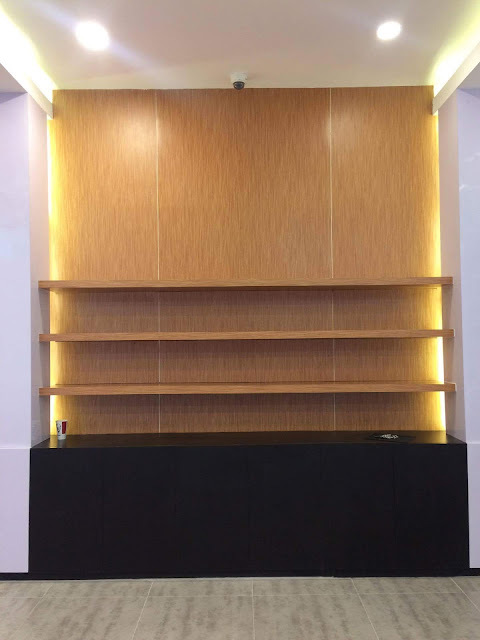 Definitely, in every commercial space, a bigger spotlight is needed to give better enhancement—resolution— to the product that they’re selling. 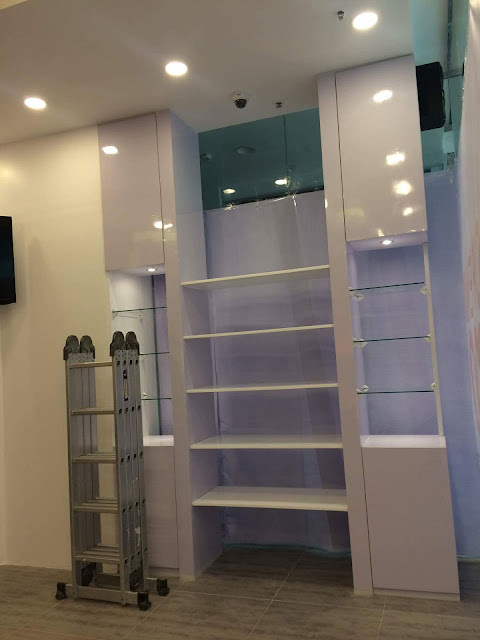 As a consumer, if the item being sold has no proper shelf-merchandising and proper lighting, I won’t be able to notice that product no matter how good it is. A presentation is a must if you are aiming for target sales each month and annually. We also designed that logo by our junior architect—Marj. Space is wide upon entering as you can see. We placed grayish granite—bigger cut—to make the flooring look wider and dust can’t be easily seen. 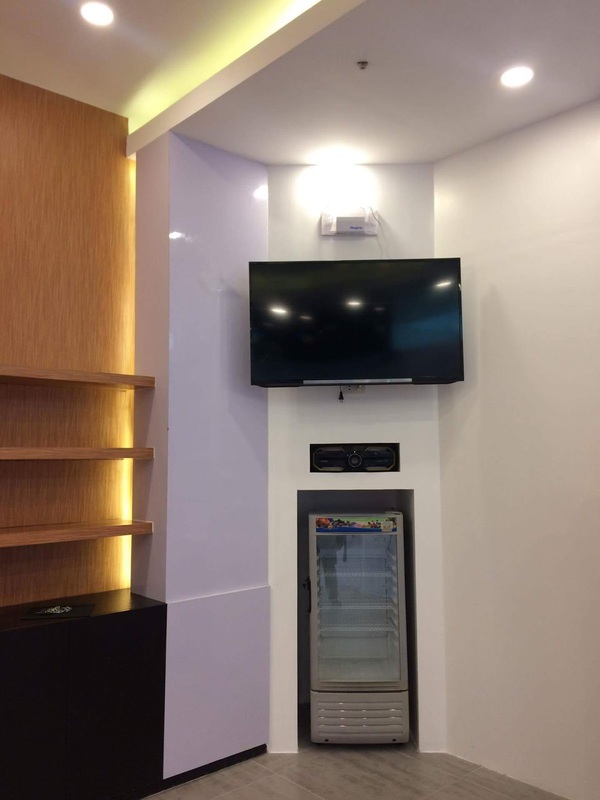 The TV was installed specifically for the lovely wives—if the husband is taking so much time in checking kinds of stuff! Just kidding aside! — To entertain and feel the comfort while waiting.